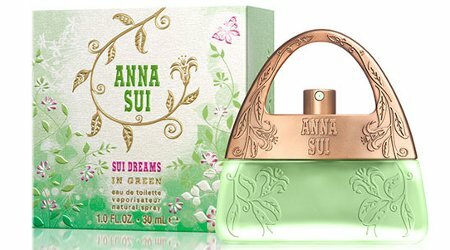 Anna Sui will launch Sui Dreams in Green, a new limited edition perfume for women. Sui Dreams in Green is a flanker to 2000's Sui Dreams fragrance, and follows 2014's Sui Dreams in Pink. Anna Sui Dreams in Green will be available in 30 ml Eau de Toilette. It will debut in February. * From an online translation of the original Japanese and possibly missing some notes; I will update when I can find a description in English. So cute! The pink one sounds nice too. Anyone familiar with these? I seem to be attracted to slightly fussy little things lately, and the botitle rings a bell. Jessica reviewed the pink — see link above. I have not smelled so no help!